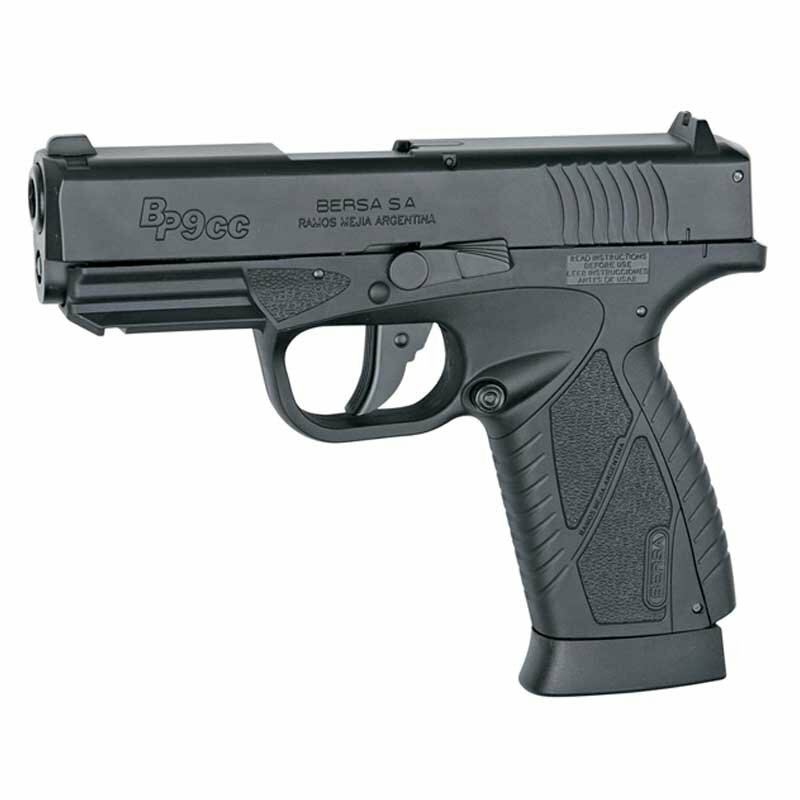 Fully licensed by BERSA, the BP9CC is a lightweight, compact and ultra thin handgun with an ergonomic design made to improve your line of sight. Using a single 12 gram CO2 cartridge hidden in the grip, the BERSA BP9CC offers you a full blow back feel with every shot. Integrated onto the front of the gun is a picatinny rail which allows you to easily mount accessories like tac lights or lasers to increase your combat effectiveness. 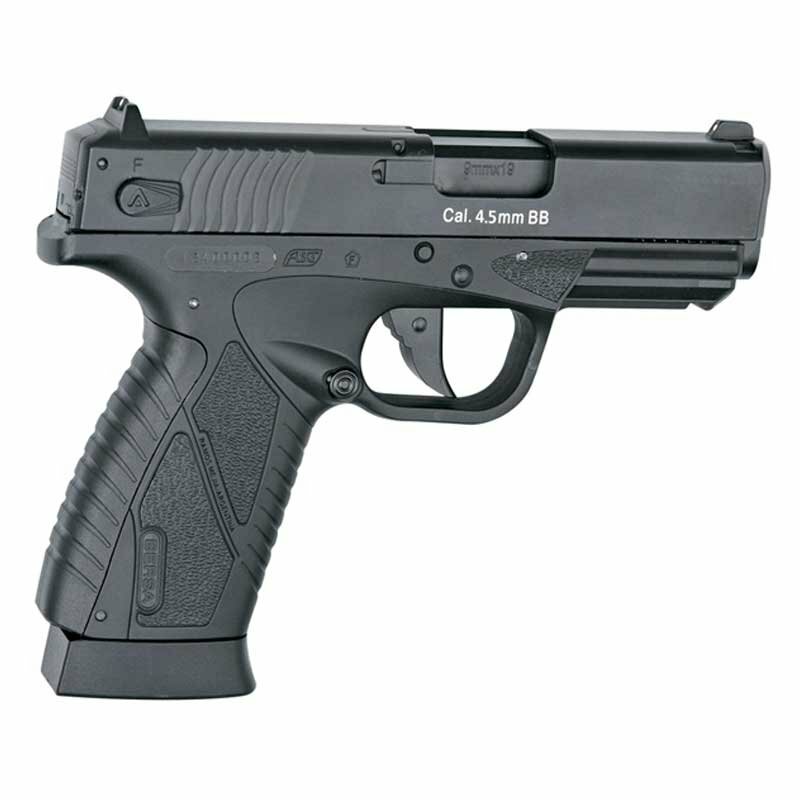 Not only does this airsoft pistol sport a realistic feel, it also carries authentic BERSA markings and a unique serial number!